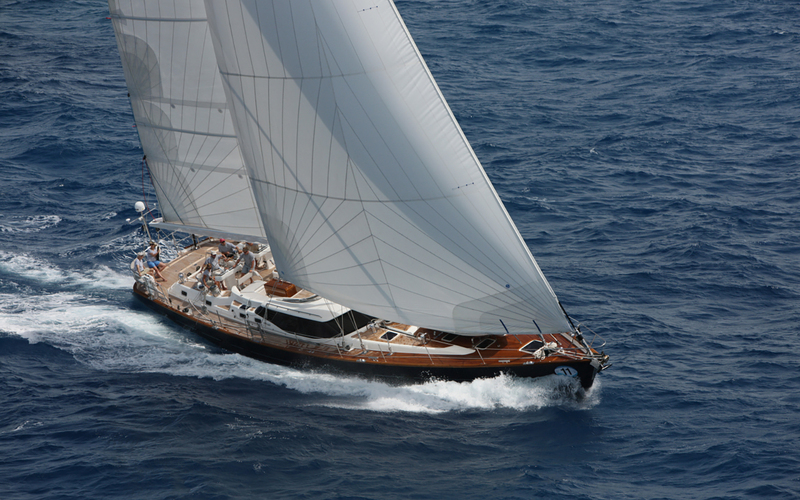 Sailing Yacht RAVEN CLAW (ex RAVENOUS) is an Oyster 82 Yacht, measuring 24.99m (82'), with a sloop rig and composite hull. 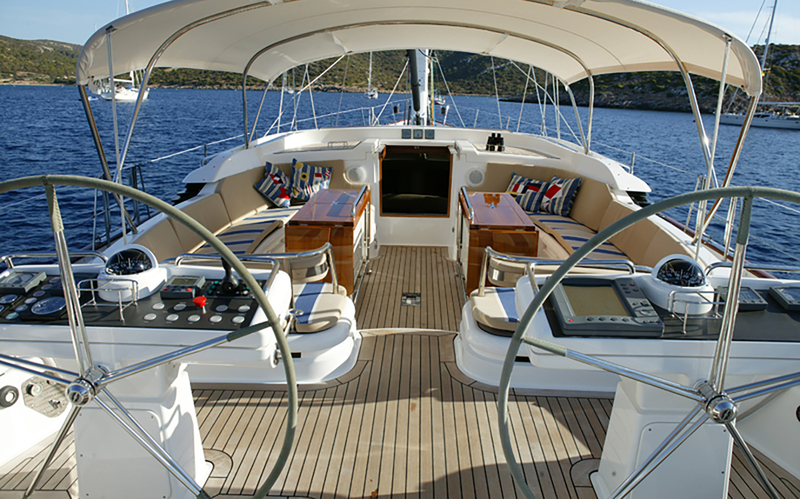 Launched in 2007, RAVEN CLAW is a fine example of a refined and stylish cruising yacht. 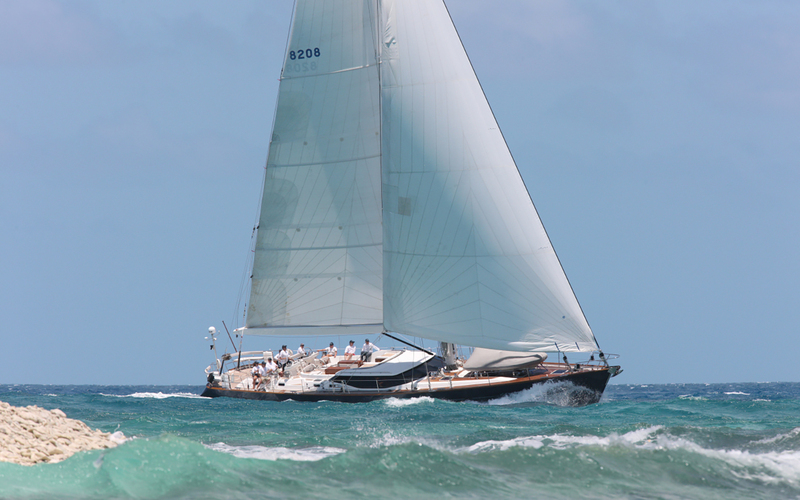 She has been skilfully balanced, light on the helm with equally impressive light airs performance. Oyster Yachts has maximised performance whilst maintaining a wide beam, spacious decks and fine lines which produce a delightfully attractive yacht. 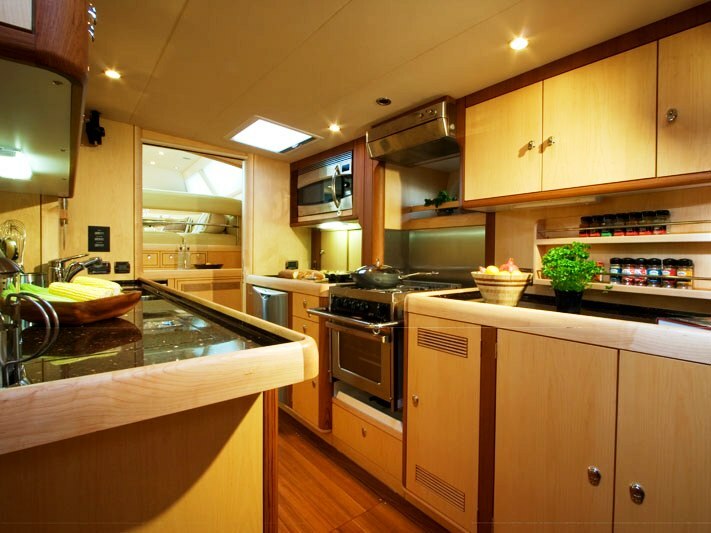 She can accommodate up to 6 charter guests in 3 cabins and has a crew of 3. 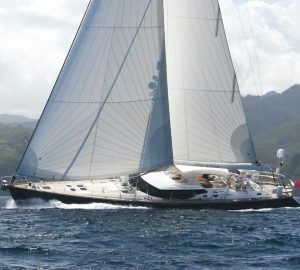 The Oyster 82 Sailing Yacht RAVEN CLAW has a split cockpit and two wheels for increased visibility and manoeuvrability. 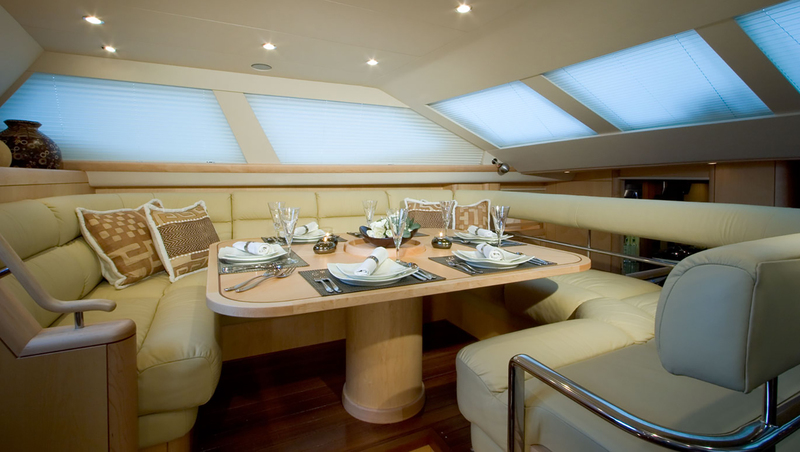 Her spacious protected cockpit is fitted with a large table where guests can enjoy alfresco dining. The deck salon is spacious and light with panoramic views and plenty of natural light so guests can enjoy a wonderful dining experience inside or out. The lower salon provides a comfortable respite and incorporates a lounge with music and entertainments system. 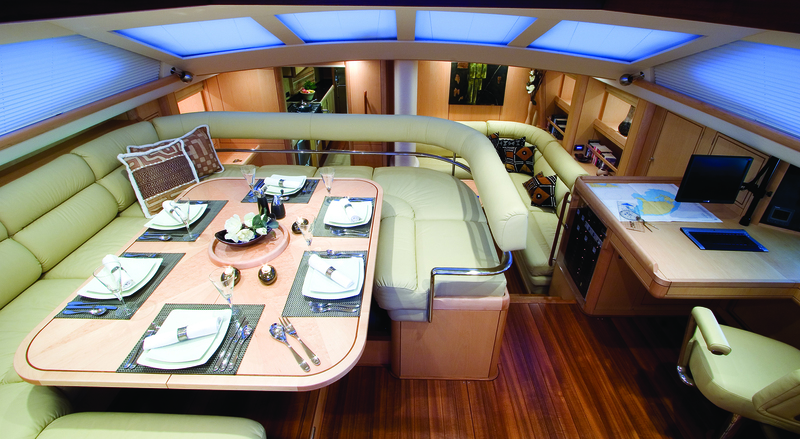 The yacht offers a great feeling of space below decks with lots of natural light and full standing headroom under the cockpit floor. 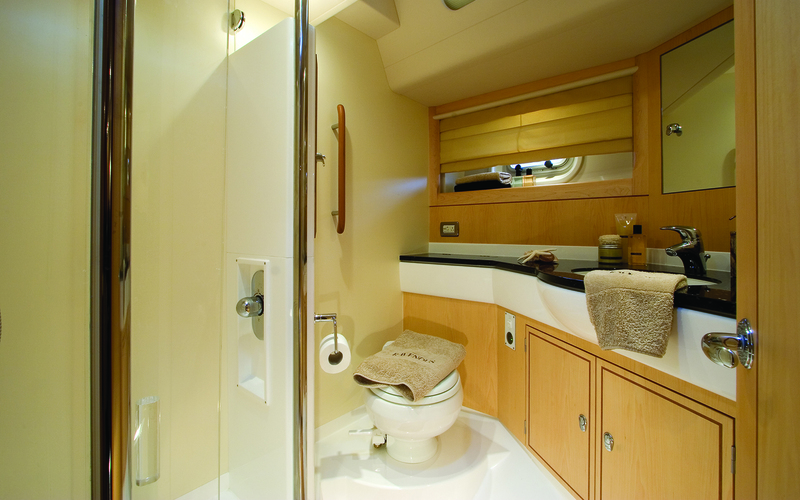 A centreline passage leads aft to the owner’s stateroom and two guest cabins – all equipped with ensuite bathrooms with separate shower stalls. The Oyster 82 sailing yacht offers a combination of comfort and performance, with an abundance of practical sea-going capabilities, all packaged in a stylish and elegant hull. 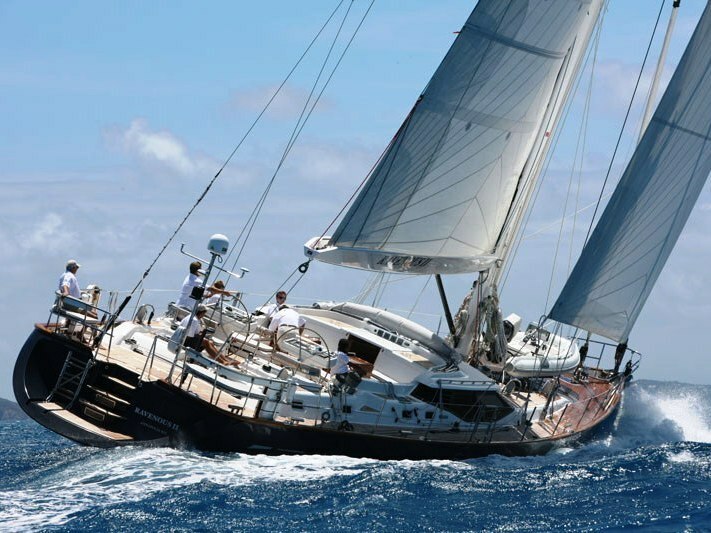 Oyster Sailing Yacht RAVENOUS has accommodation for 6 guests. The master stateroom has a centerline double berth, a settee, dressing table and a large hanging locker with abundant drawer and locker space. 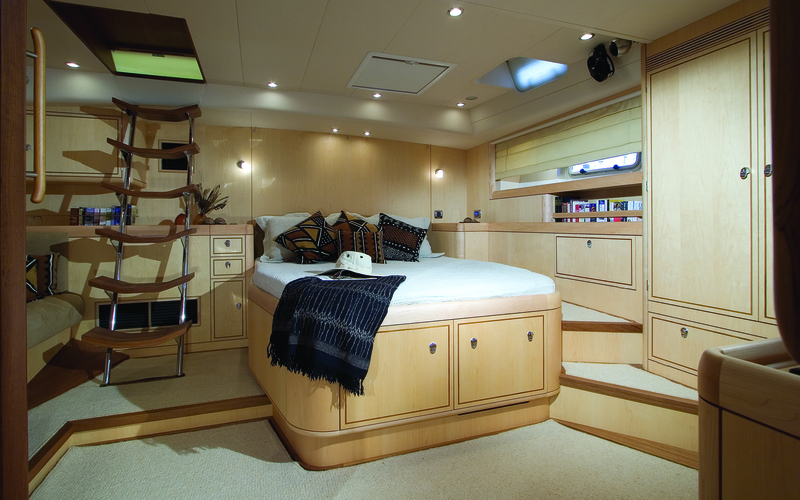 Stairs lead from the mast up to its own companionway giving access to the aft deck via a sliding hatch. The mast has an ensuite head with a separate shower stall. 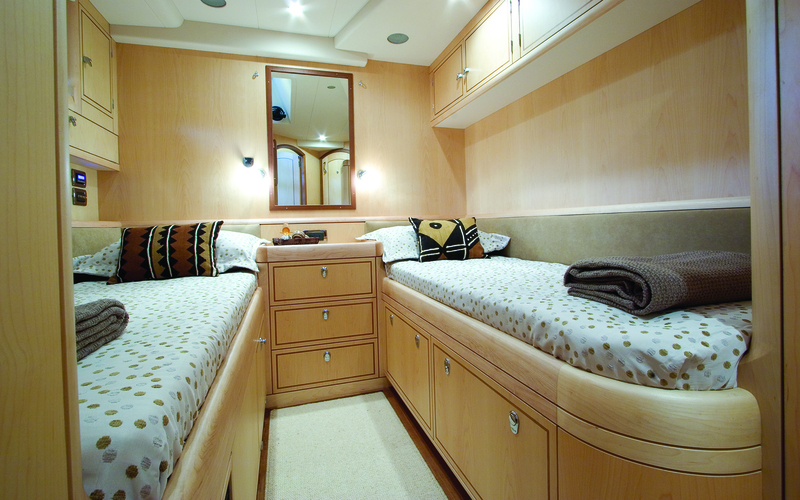 The starboard and port aft cabins are similar with twin berths and a hanging locker and drawer storage. There is an additional Pullman berth with 2” mattress. These cabins have ensuite heads with a separate shower stall.